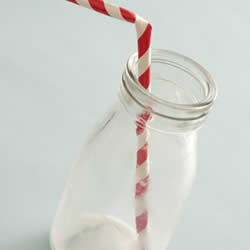 An average glass of milk gives you almost a third of your daily calcium requirement. 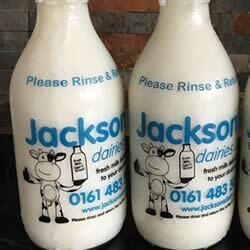 3 servings of fresh milk per day may help reduce the risk of osteoporosis, high blood pressure and colon cancer. Milk is one of the most nutrient-dense foods, containing calcium, protein, potassium, vitamin A and vitamin B12. Online shopping? Been there, done that. Bread & groceries delivered fresh to your home or office. Torkington Hall Dairy, Norbury Hollow Road, Hazel Grove, Stockport. SK7 6NE. Registered in England No. 04182340. Tel: 0161 483 5055. Fax: 0161 483 1552.